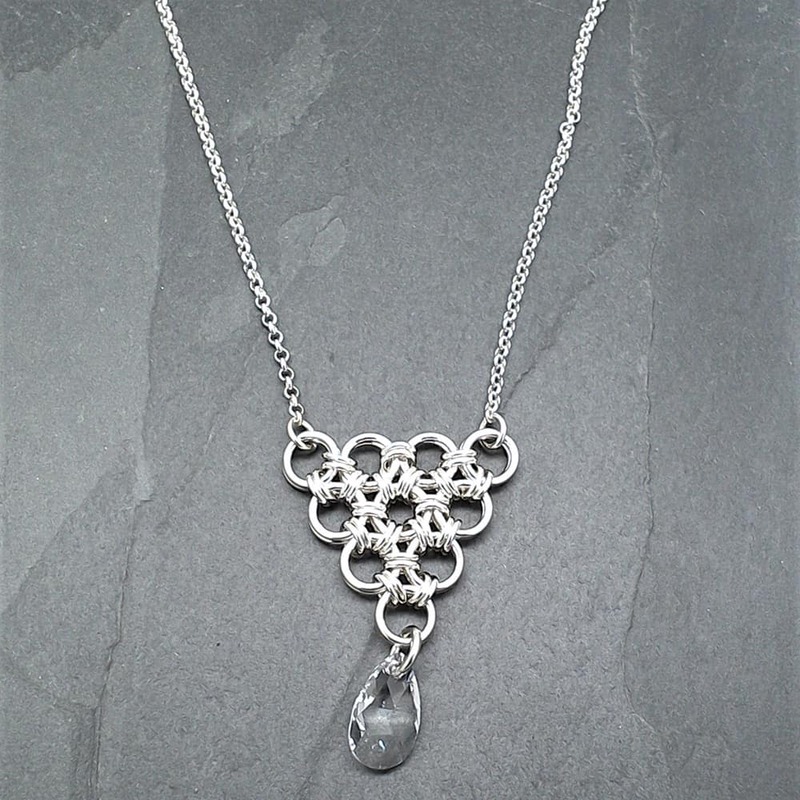 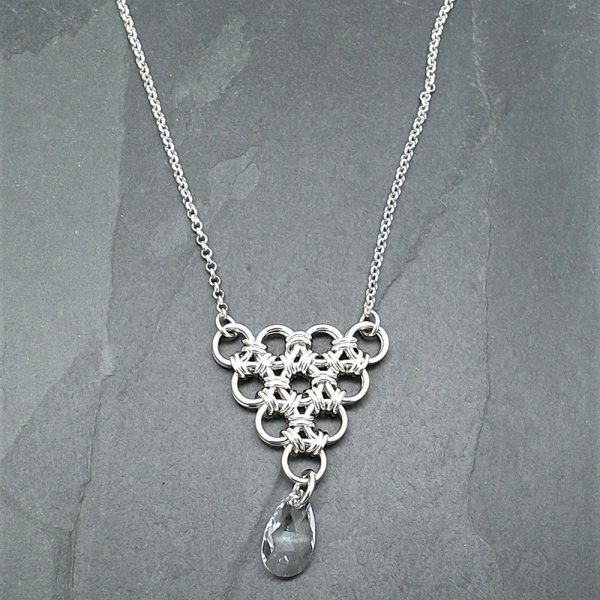 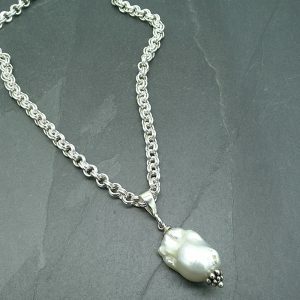 Japanese style chainmail done in a triangle pattern and accented with a teardrop shape Swarovski crystal. 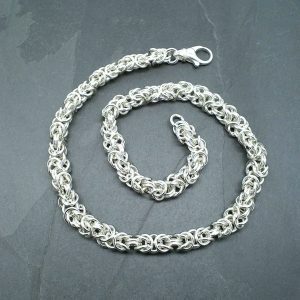 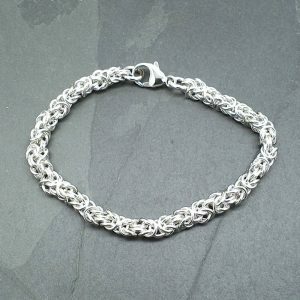 On split rolo chain and is 19 inches in total length. 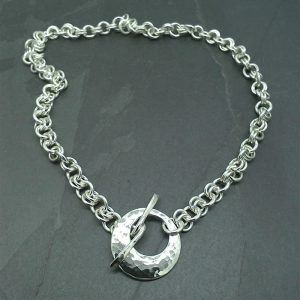 35mm across the top of the pendant.